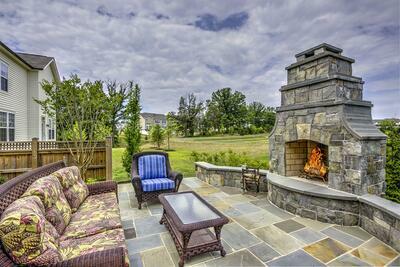 An Outdoor Fireplace vs. Fire Pit: Which is Best for My Ashburn, Aldie or Leesburg, VA Backyard? All fire features have some of the same allure including their ability to throw light and heat onto your outdoor living space as well as their magnetic draw. Everyone seems to love gathering around a fire for both its looks and its warmth. While both an outdoor fireplace or fire pit would give you these same benefits, you might be trying to figure out which is the better option for your backyard. There are definitely some key points to take into consideration as you try to determine which is best for your home in Ashburn, Aldie, Leesburg, VA or surrounding areas. 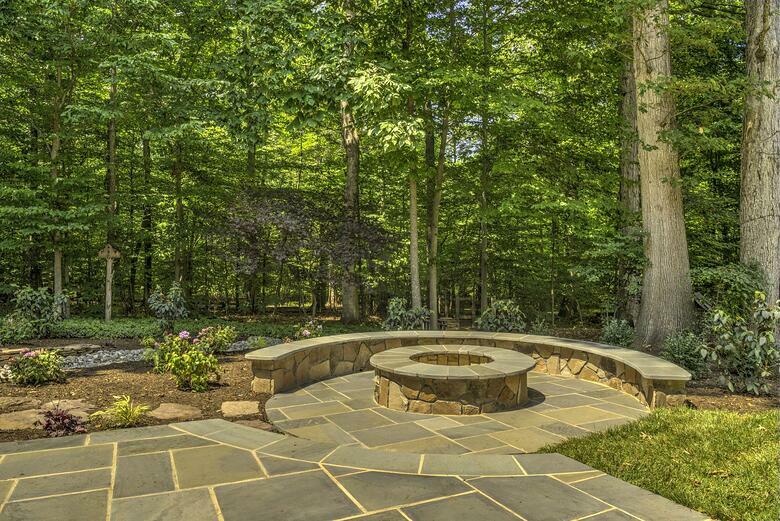 A custom built-in fire pit is often said to be reminiscent of a campfire. It’s something that you can gather around with family and friends. Whether it’s roasting s’mores or sharing cocktails, it makes an excellent “hang-out” spot for kids and adults alike. With it’s circular shape (though fire pits can also be built as squares as a design preference), it also creates a sense of gathering as everyone finds a seat around the fire. However, there are also some downsides to a fire pit that might make an outdoor fireplace the better option. Before moving on, ask yourself the following questions as you try to determine whether an outdoor fireplace or fire pit is right for you. 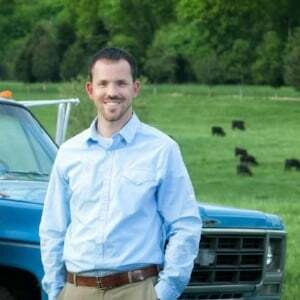 Do you live on a windy property? Do you mind keeping up with regular maintenance? If the answer to any of those questions is yes, then a fire pit may not be the right choice for you. Here’s why. For one, a fire pit can take up a large portion of your patio- as much as 150 to 200 square feet of space. That means you’ve now dedicated that large area of space solely to fire pit use. If space is at a premium and you don’t have a large patio to begin with, a fire pit may really limit its use. An outdoor fireplace, on the other hand, can be built on the edge of a patio, keeping the rest of the space open. It may only use 50 to 75 square feet of space or could even be built in an attached section, not using up any of the main patio space at all. In addition, you must consider that there is no way to account for wind changes with a built-in fire pit. One night the smoke might be blowing away from your seating area but the next it might be blowing right at you- and the fire pit itself is immovable. Whereas smoke in an outdoor fireplace is directed to blow up the chimney, a fire pit can produce smoke around your seating area. Smoke is less likely to interfere with entertaining in an outdoor fireplace. Finally, you must also consider the maintenance involved with a fire pit. While we build fire pits with the proper drainage so that rainwater won’t collect, you still must be sure that you’re always clearing out your debris or keeping the fire pit covered. Otherwise, when rain falls, it can pool amongst the debris, creating not only a big mess but also a moist area mosquitoes could be attracted to. While an outdoor fireplace does also involve cleaning out debris, it’s not as visible and doesn’t become an eyesore if it’s not done immediately. A fireplace also doesn’t present the opportunity for rainwater to collect as could occur in a fire pit that isn’t cleaned out properly. Wood storage is also worth mentioning. With a fireplace, you can have a custom-built storage area right in the side or back of the structure so that wood is tucked neatly away. But with a fire pit, you’ll have to create a storage area for wood in either a rack or perhaps your shed, which may be inconvenient. In addition, an outdoor fireplace can have the added benefit of creating some privacy screening. When strategically built based on location, and when paired with some plantings or even retaining walls, a fireplace can help add a bit of privacy to your outdoor living area in a way that an open fire pit cannot. For the reasons we mentioned, we tend to encourage most of our clients to opt for an outdoor fireplace instead of a fire pit as part of a landscape design. Although an outdoor fireplace can cost approximately 40 percent more, we have found from experience that our clients tend to get a lot more use out of them, making the investment worth it. A fireplace investment is ultimately only a small fraction of the overall cost of your patio build. But for that investment, you’re getting a lot more use out of your overall space, making it incredibly valuable. We also feel that a fireplace adds more value to a property in terms of ROI as it tends to be the more desired choice between the two. It’s elegant and classy and tends to appeal to everyone whereas a fire pit may only appeal to select people. However, there are still those clients who are certain a fire pit is the right choice for them. In that case, we often encourage them to buy an inexpensive moveable fire pit- such as the kind found at big box stores- and see how much they really use it. This trial phase can tell you a lot about whether an outdoor fireplace or fire pit is the better choice for you. After trying it out for a month, if you find you really do love that open flame, you don’t mind the smoke or cleaning it out, and it’s getting regular use, then investing in a custom-built fire pit might work for you. But if you buy one and only use it a handful of times, the truth is that’s probably not going to change just because you now have a built-in one. A fireplace is probably the better option for you. Our clients tell us that family and friends tend to gather around their outdoor fireplace whether it has a fire going or not. It’s a focal point and creates a comfortable gathering space. And while there is a misconception that a fire pit throws more heat, the truth is that the heat generation is equal between the two options. Though you might not have the circular sense of gathering around the fire (as with a fire pit), because the rocks warm up, an outdoor fireplace is warm and cozy all around- even if you’re not directly in front of the flames. It’s important to recognize that there is a lot more involved in building an outdoor fireplace than an outdoor fire pit. 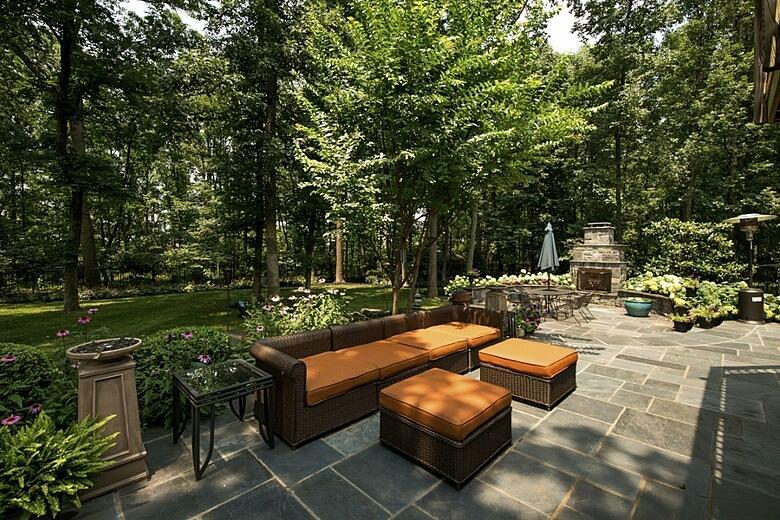 For this reason, it’s not something that every landscape company in Ashburn, Aldie, or Leesburg, VA can do. From properly designing and building the chimney flue to ensuring that the finished product comes together beautifully, it’s not exactly a simple project. While some hardscaping and masonry companies will build an outdoor fireplace from a kit or use manmade block and assemble them like adult Legos, we do one-of-a-kind custom designs that are completely original and built from natural stone. Because it’s not a mastered skill set for everyone, you may actually find that some companies will push you toward a fire pit. They might even try to allay your concerns about it taking up so much space by telling you it can be turned into a “table” with the right cover. Still, that doesn’t solve the problem that it’s immovable. Even with a cover, you still have table taking up coveted space on your patio. Plus, you have the added issue of where to store the table top when it’s not in use! If you’re looking for an outdoor fireplace company, we would love to show you some of our work. And if you’re still trying to determine which option is better for you, let’s talk through the details and find the best solution. At the end of the day, our goal is to make our customers happy and to create spaces that they love to use. We want your fire feature to be something that draws you outside to use your space. 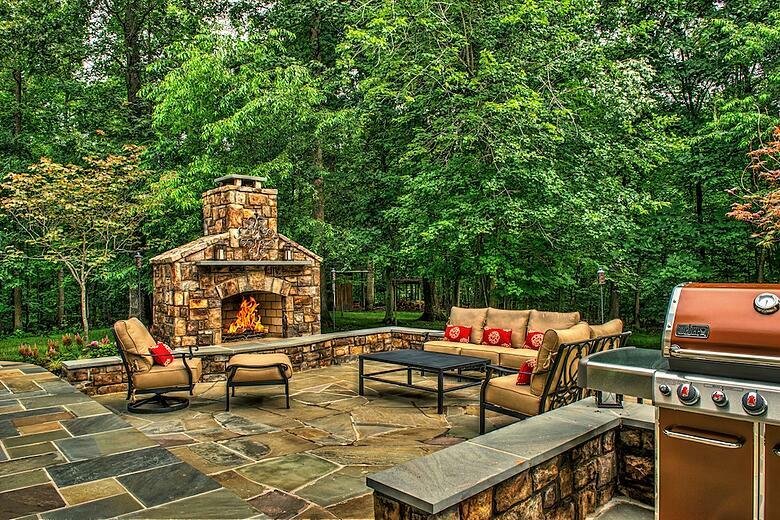 We’ll work closely with you to help you determine whether it’s an outdoor fireplace or fire pit that works best. 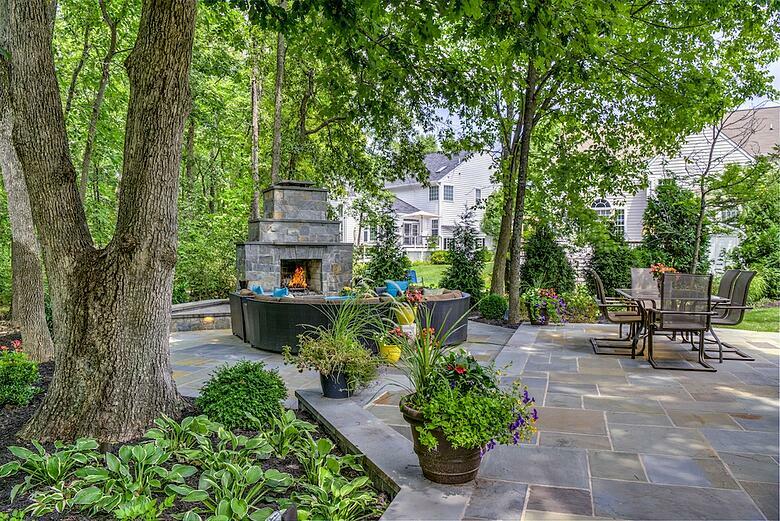 If you’d like to talk more about outdoor fireplaces vs. fire pits for your home in Ashburn, Aldie, Leesburg Va or surrounding areas, schedule a free consultation or give us a call at 703-327-1636.